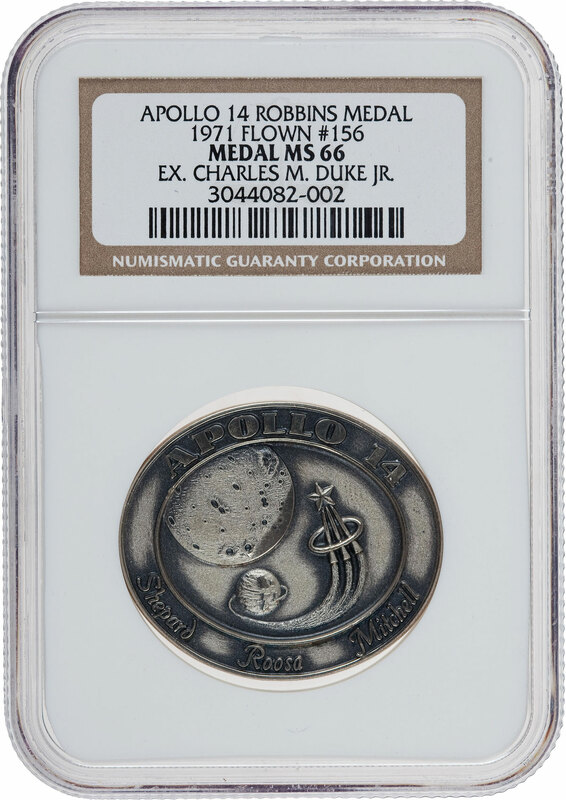 Upcoming 2012 May 12 Space Exploration Signature Auction features a number of space-flown medals from astronauts’ personal collections. 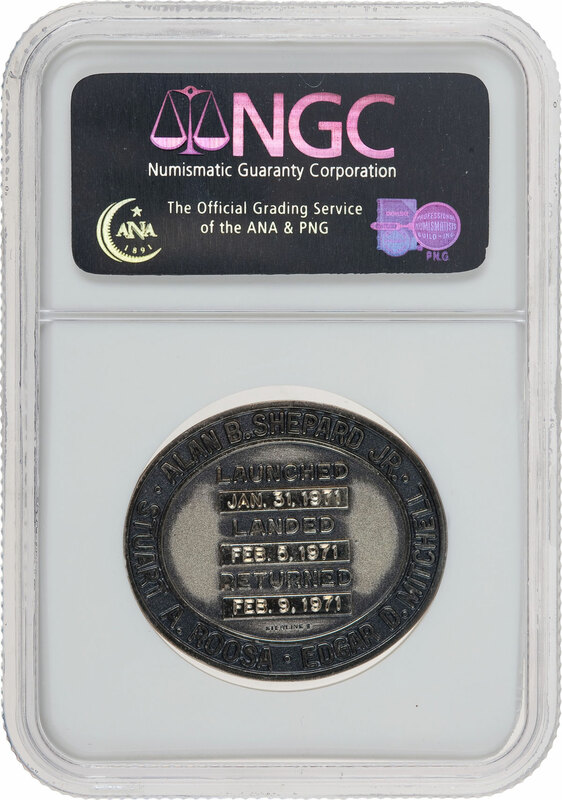 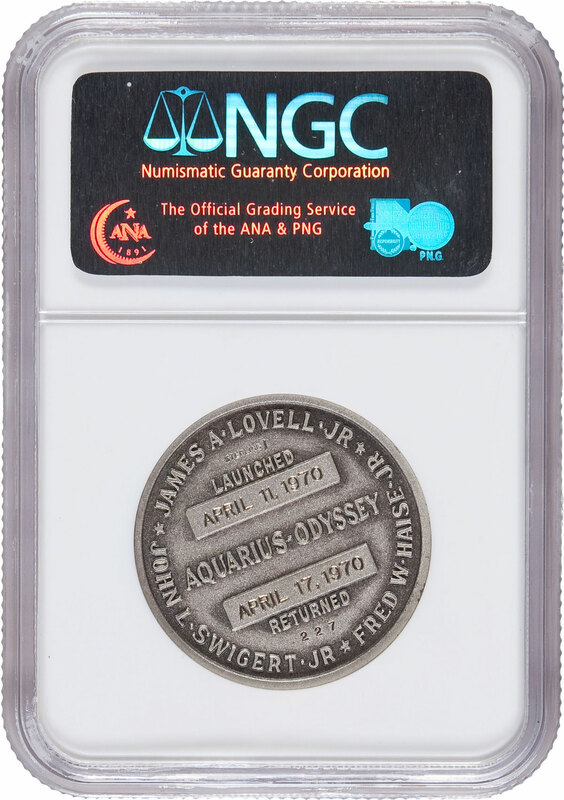 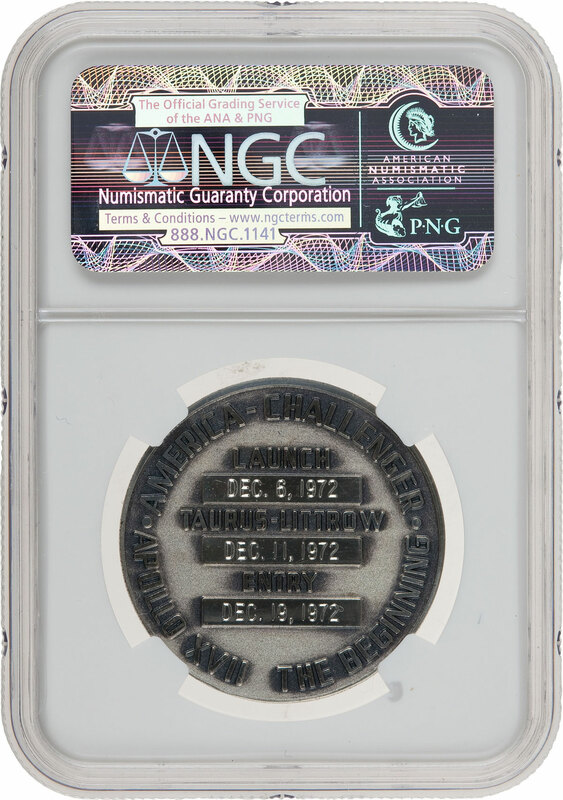 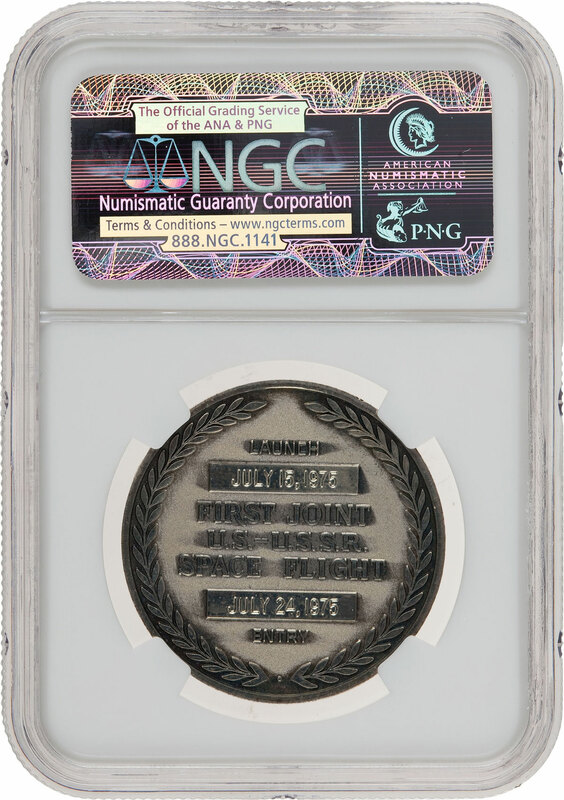 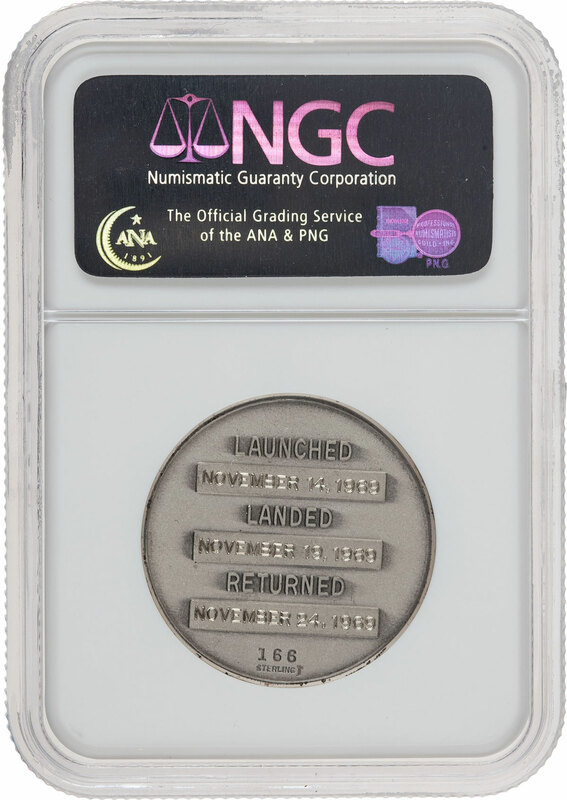 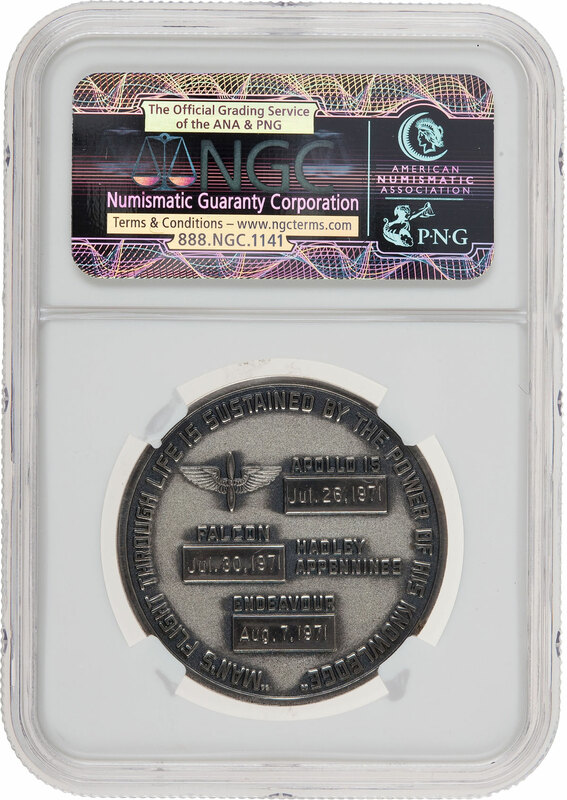 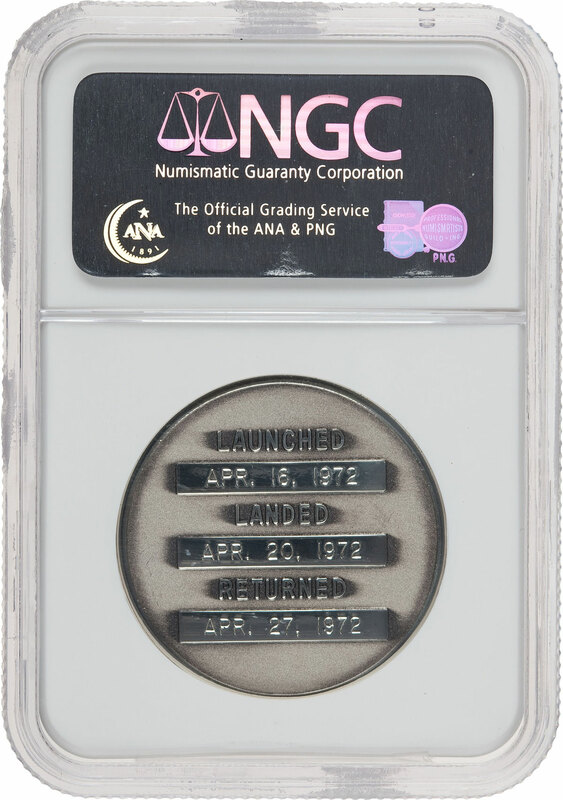 These medals, graded and encapsulated by NGC, are highly collectible, and should be of considerable interest to many numismatic clients. 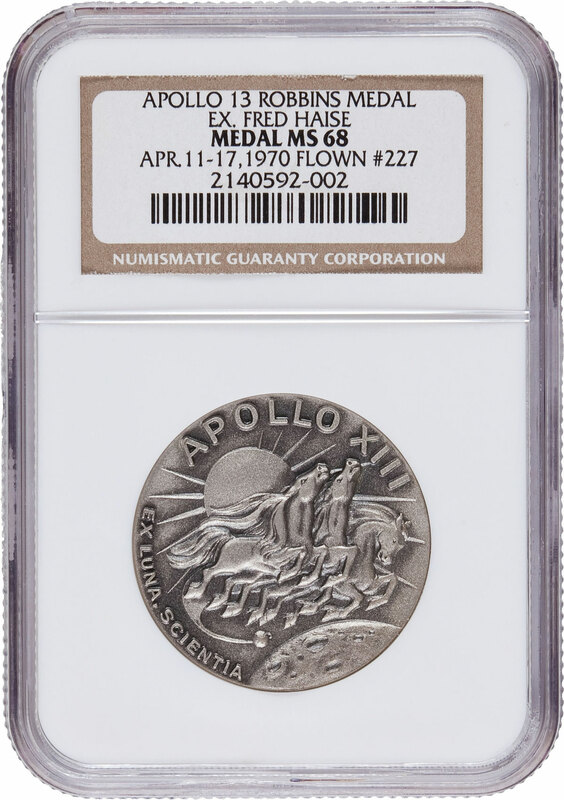 The top prize from among these medals is a Silver Robbins medal from Apollo 11, one of 450 flown on the mission. 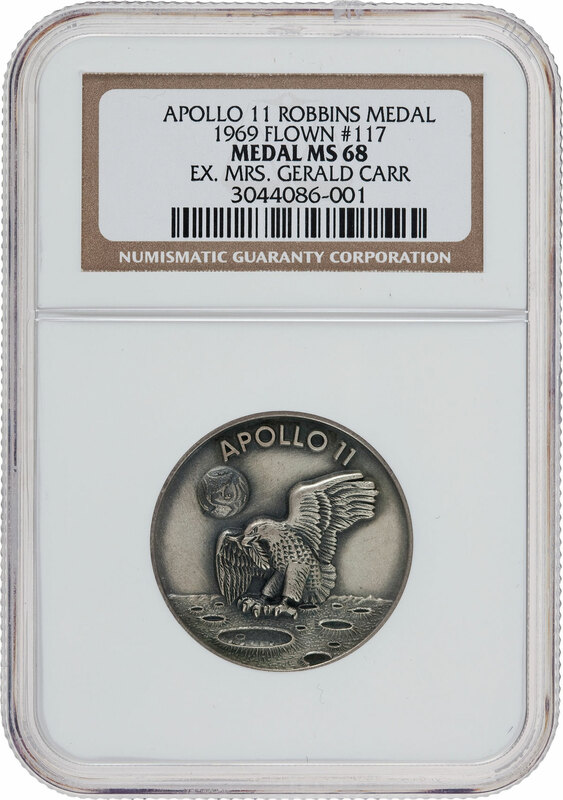 Collector interest in the first mission to land on the moon is always high, and this medal is from the family collection of Astronaut Gerald Carr. 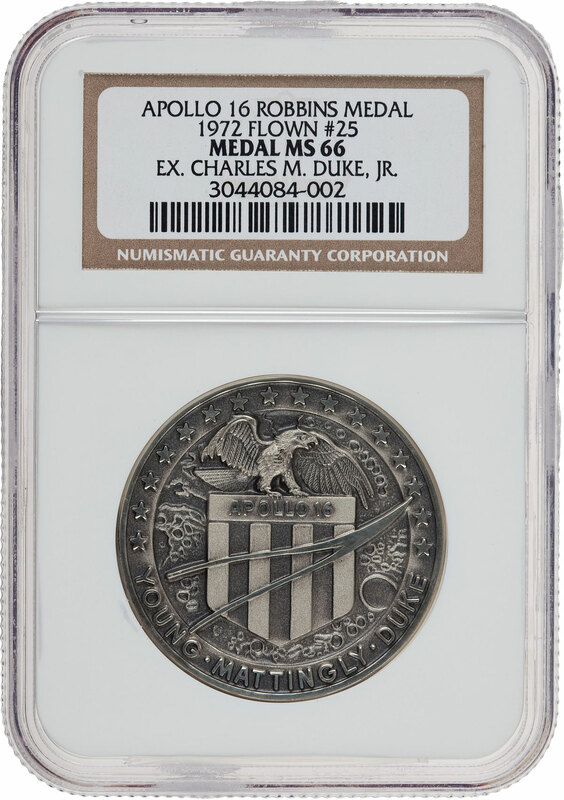 The obverse carries the original concept for the official insignia, as designed by Michael Collins, the command module pilot. 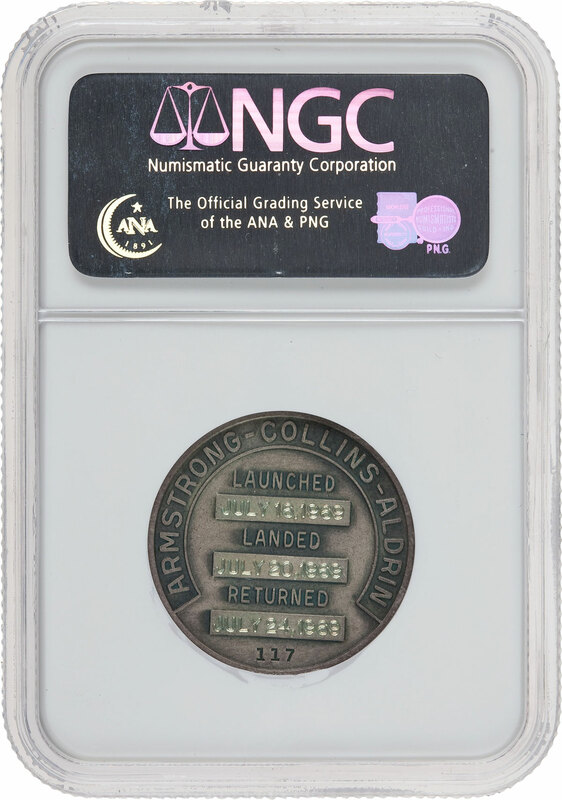 This is one of, if not the only, item to capture the insignia as originally envisioned. 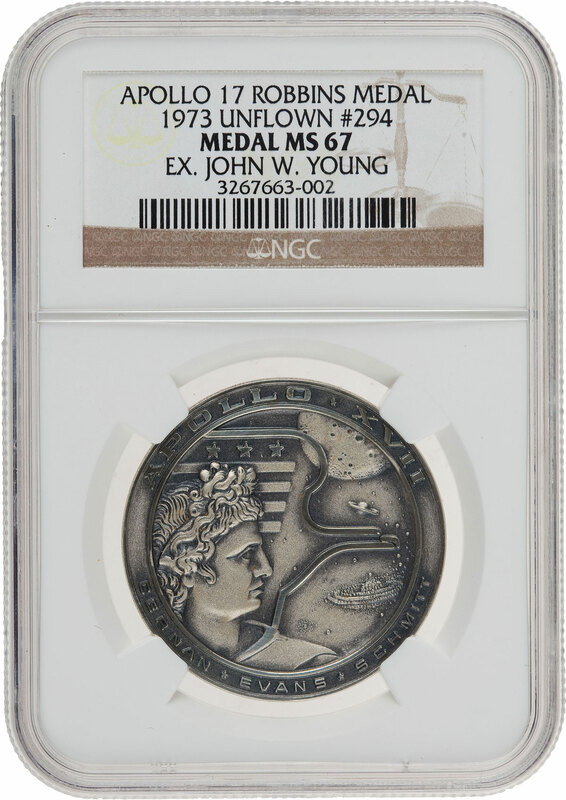 The medal has been graded an incredible MS68. 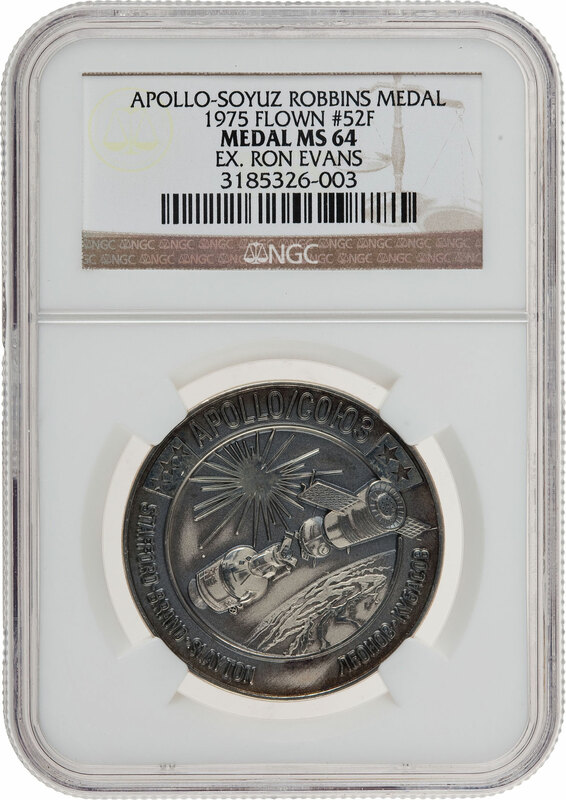 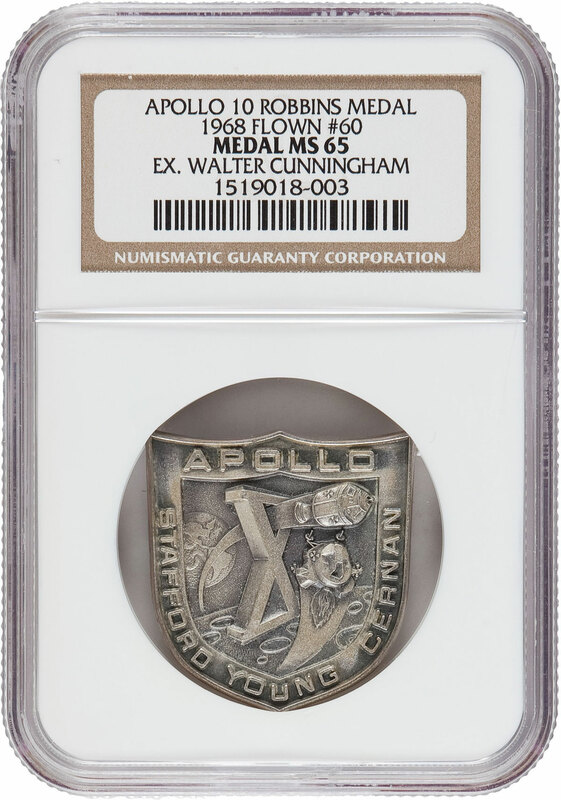 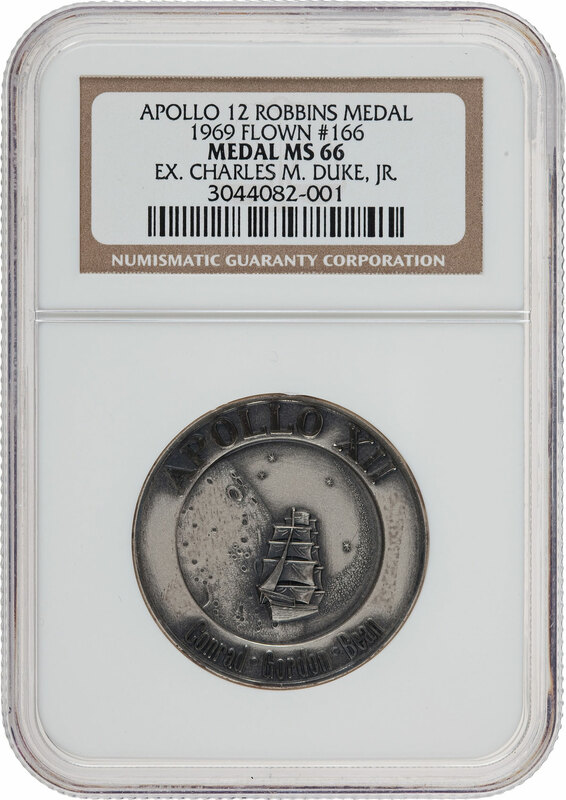 Another particularly nice medal is the Apollo 16 Flown MS66 NGC Silver Robbins Medallion Originally from the Personal Collection of Mission Lunar Module Pilot Charlie Duke. 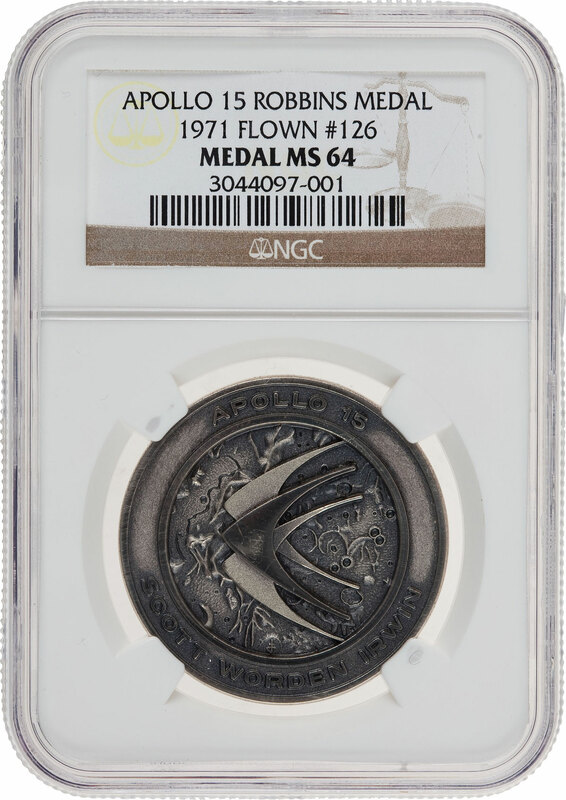 Medals from the personal collections of mission crewmembers bring a real premium from serious collectors. 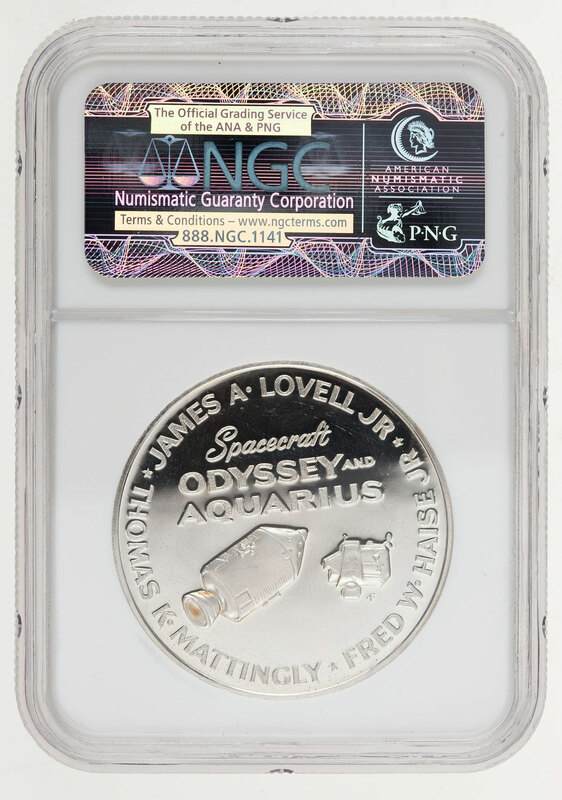 In the last Space auction, there were two instances where a mission member’s medal more than doubled the price of another astronaut’s medal on the identical item. 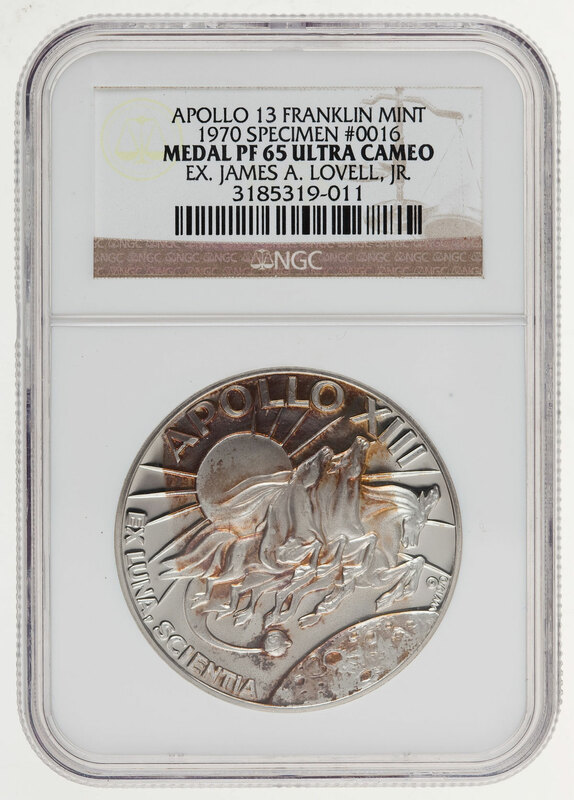 This medal, one of 98 flown on Apollo 16, grades MS66. 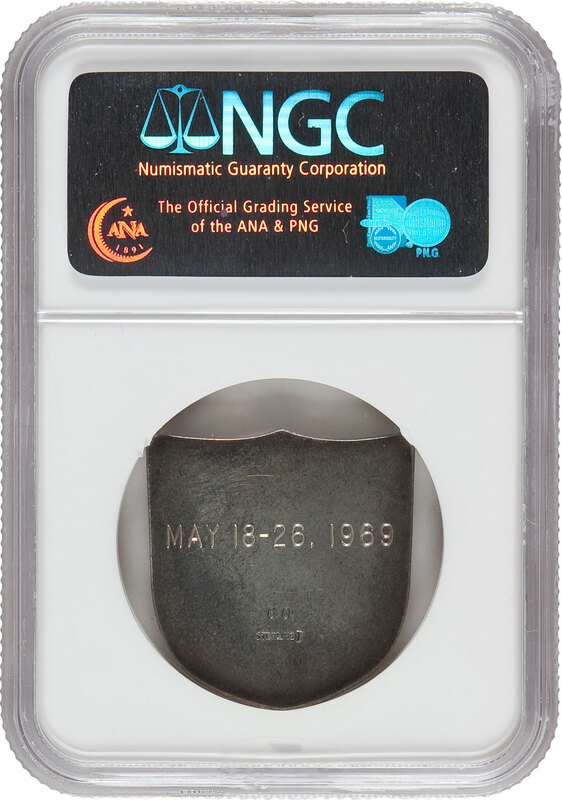 Bidding on this auction continues through May 11 on the Heritage website at HA.com/Historical, and on May 12 against the floor at Heritage Live!